Offering the best of style and comfort, these track pants will be an ideal pick for your little kid. These have been stylishly designed from the house of Doreme. 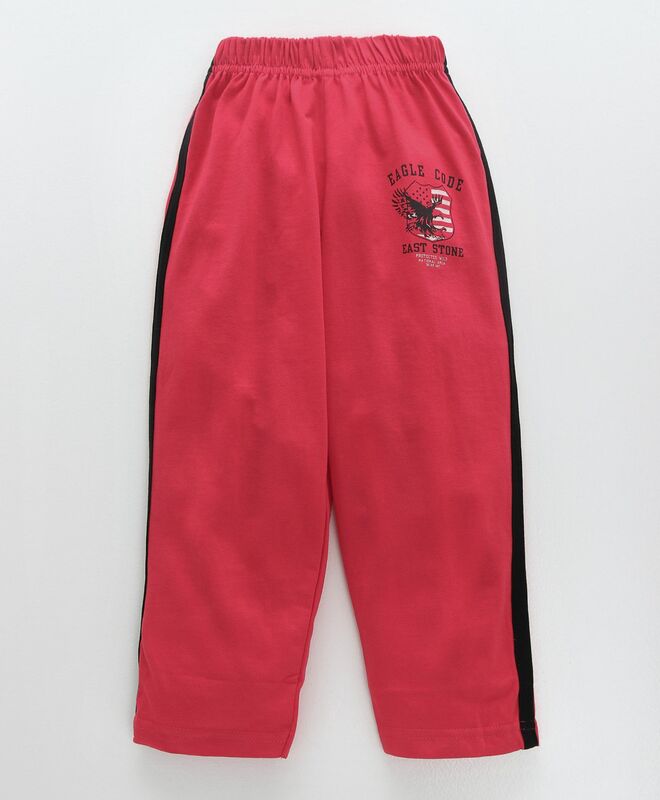 Fashioned using premium quality soft fabric, this track pant will keep your kid at ease the whole day. Captivating style with 'Eagle' print, offers an eye catching appeal. The soft elasticated waistband ensures comfort fit. Kids will be comfortable all day long. Styling Tip: Pair up this Track Pants with Tee for a perfect casual look.